When I was young I found it ridiculous that every newspaper story wove its subjects’ ages into the text: what bearing did that have on anything? Now, at 59, I know that nothing has more influence on our attitudes to any bright idea than our assessment of whether we are likely to live long enough to witness the outcome. That is why I feel the pain of seeing giant wind turbines advance across the beautiful uplands of Northumberland so acutely; because I know there is no chance that I will still be around when they come down again, if they ever do. It does not take a genius to see that nearly all the arguments advanced in favour of building these gigantic bird-swats are self-interested or simply wrong-headed. 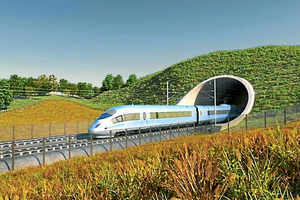 Which makes them curiously like those put forward for construction of the HS2 high speed rail line. On which, like Kevan Jones MP, I experienced a moment of horrible discomfort last week when I suddenly found Lord Mandelson agreeing with me. Still, it could be worse. I’ve Googled “Gordon Brown HS2” and found no evidence that the new Sage of Kirkcaldy has come out against it, so there must be a sporting chance that I am still right after all. The theoretical cost of this project keeps going up. It was £42 billion at the last count, and that was apparently without one small but useful addition: some trains to run on it. Still, why worry about that? We all know that the important thing is to get the aircraft carriers built, not fuss about whether we can afford any planes to put on them. The Business Department now seems to be admitting that its key assumption that time spent on trains is economically dead because no one does any work on them is, to use a technical term, cobblers. While the chief defender of HS2 tracked down by Radio 4 at the weekend claimed that the extra speed of journeys was irrelevant: the project was really all about creating much needed additional capacity for a rail system bursting at the seams. Except that, as a regular traveller on the West Coast Main Line, I often survey masses of empty seats, particularly at those peak times when all those without calf-length pockets have been priced off the railway altogether. 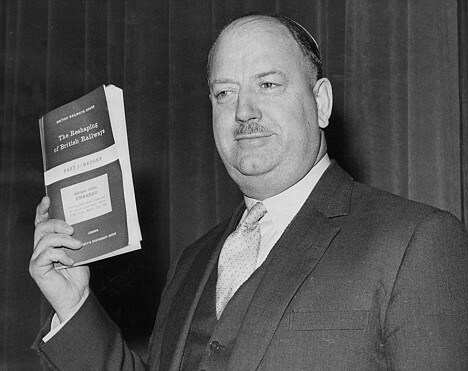 If we do need more capacity, why not reinstate some of those passing loops and diversionary routes cleverly axed by Dr Beeching in the 1960s? If we’ve suddenly found a huge amount of spare cash to invest in transport, how about creating a Transpennine rail service that is genuinely worthy of the name “Express”? Reopen the freight lines in South East Northumberland to passengers, extend the Metro, build some more urban tramways (first learning all the lessons from the debacle in Edinburgh), stop cutting back bus services, relieve the congestion on the Gateshead western by-pass, and, yes, dual the A1. I write as one who adores trains and whose youthful blood was regularly brought to boiling point by letters to this paper from the Railway Conversion League, arguing that the answer was to rip up all the rails, lay concrete and run buses. Even a schoolboy could see that their case was total rubbish. I am delighted to have lived long enough to see rail emerge triumphant and enjoy a renaissance that seemed as least as implausible, back in the 1960s, as a British man ever again winning Wimbledon. But it really is time to get back to reality and stop politicians grandstanding with ludicrous promises of massive public expenditure that actually cost them nothing because they will be long gone from office when the bills start rolling in. In the vanishingly unlikely event that we really have got a spare £50 billion to improve the national infrastructure, please let’s spend it on something genuinely useful. If we must invest in something high speed, make it broadband. And spend the change on some new power stations that will keep working when the wind isn’t blowing at just the right speed. Otherwise we are likely be spending our winter evenings in the cold and dark not in some imaginary, distant future, but uncomfortably soon. Here. Here. You sound just one step away from standing for parliament. I'd vote for you. IF I were in your constituency.